* In-shop Sales/Promoter of UAE experience will be preferred. * Asian, and Arab nationality preferred. * Husband Visa / Father Visa / Own Visa candidates only. *Must have Good communication in English and Good looking. 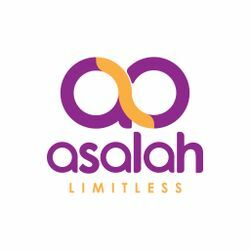 Asalah was founded in 2007. Our belief is using creative minds, experienced personal and working hand in hand with clients. In today's world of Advertising our unique structure allows us to offer clients a holistic BTL solution in a one-stop-shop- from concept ideation till production with simple working processes and reduced costs. Improve your chance to get this job. Do an online course on Telemarket starting now. Hi Asalah, Reach more people by sharing this job with your network. Get updates on latest Marketing & Advertising Jobs in UAE - Dubai.